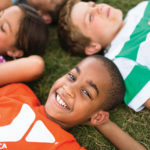 The Lima Family YMCA Kids Zone is a babysitting service available for children ages 6 weeks to 7 years of age while their parents are using the facility. Parents must remain on-site while their children are in our care. Our purpose is to provide our youngest members with an interactive and developmentally appropriate learning environment while you enjoy an invigorating workout or period of relaxation. Your child will be cared for by loving, experienced staff in a nurturing environment. Children are limited to 2 1/2 hours per stay in Kid Zone. Babysitting is free to members while they are working out. Fees apply to Non-member program participants. *FREE for members in the building working out. Kids Zone will close at 7:00 pm Monday-Thursday, 6pm on Friday, and at noon on Saturday if no children are checked in. Call ahead if you are coming after those times and they will wait: (419) 223-6045 ext. 110. Non-Members: One Child- $2/hour, Two children-$1.50/hour per child, Three or more-$1/hour per child. Youth ages 8 & up can play Wii, air hockey, foosball, board games, read, or just hang out with their friends in our supervised youth lobby. Youth must show membership card or proof of membership for entry; 2 1/2 hour time limit per day. After 6pm youth under 13 must have a Family Stamp (available at the front desk) indicating that their parent is in the building. Participants in Hang Time must obey the member code of conduct as listed in the Y program guide. Hang Time will close at 7pm if no one is utilizing the room. *Family with youth of any age are welcome to use Hang Time together anytime Hang Time is open (parental supervision required).